The Bangles are unique in that the 2 halves interconnect with elastic, but otherwise they look like slip over the hand bangles. 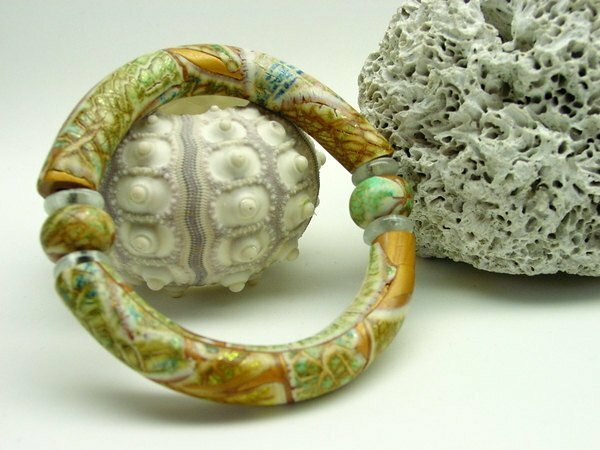 This is the original expansion or stretch bracelet tutorial. 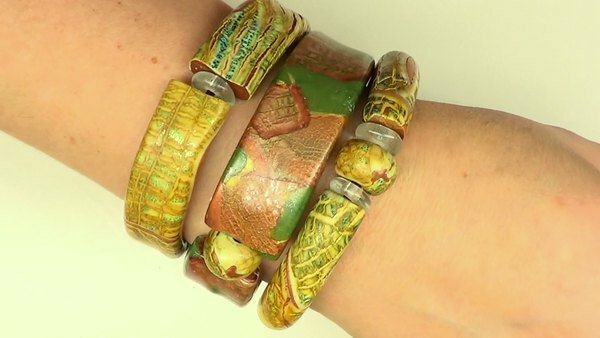 I separated the bracelet tutorial for those who already purchased the Crackle techniques. 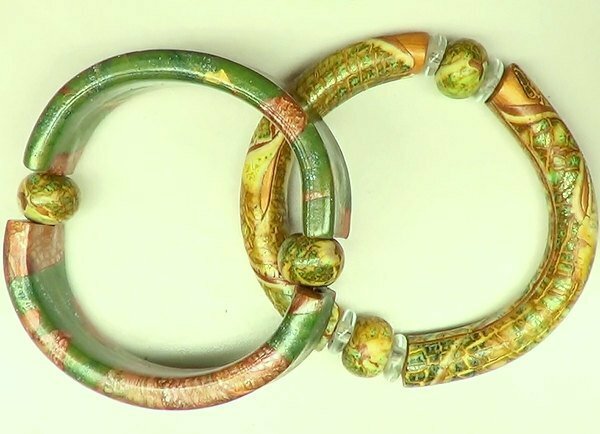 This tutorial shows 2 versions on how to create elasticized bracelet bangles, round and flat shaped. For demonstration purposes I show how I use left-overs or scraps from my crackle veneer, but you can use your own techniques such as Mokume gane, milifiori canes, extruder cane methods such as a pixelated cane, or whichever method you enjoy doing the most. Marbleized clay looks great and also my Batik technique looks pretty cool with these including the scraps. (Minus the resin of course). 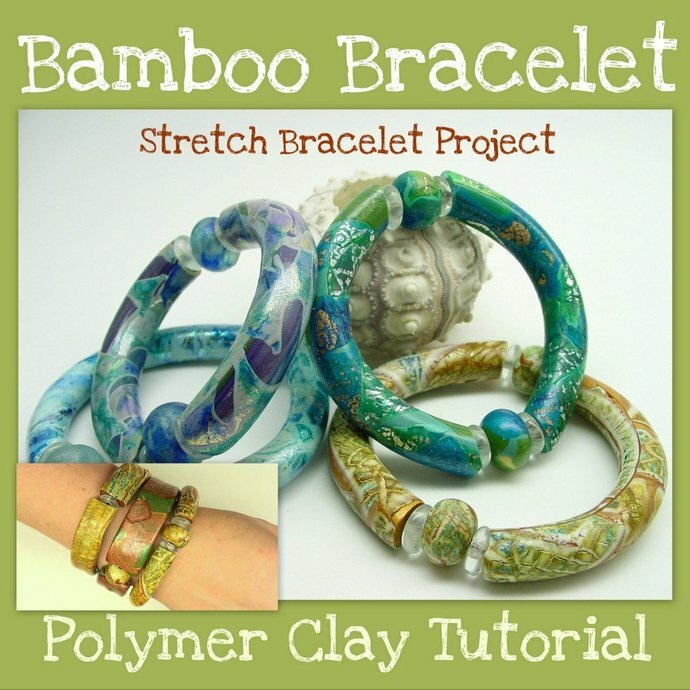 I would rate this tutorial as easy to intermediate and materials are very basic. 24 photos and 9 pages to guide you in this detailed step by step.